Filing a Chapter 13 bankruptcy allows a debtor to reorganize his debts so that he can repay his creditors in an orderly manner to the extent that he has the sources available for repayment. 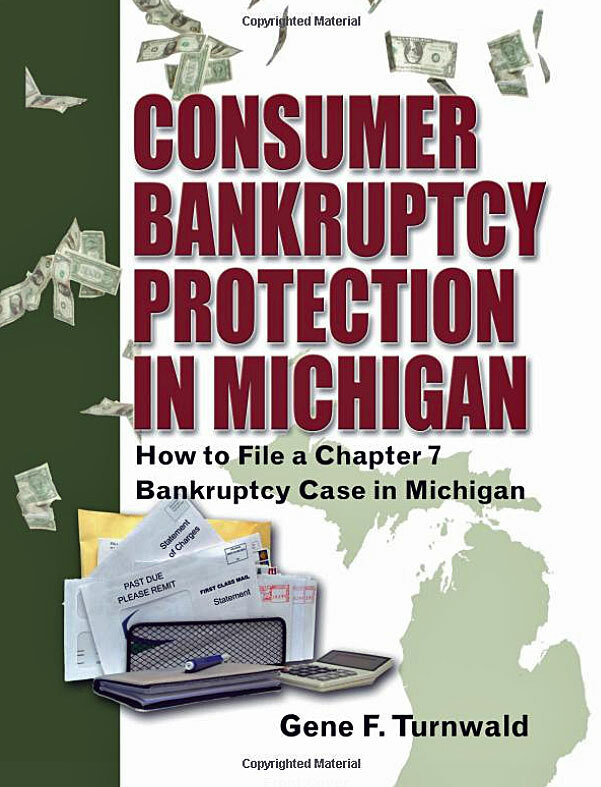 Chapter 13 cases begin much like Chapter 7 cases with the filing of a petition with the bankruptcy court. Married couples or individuals are permitted to file under Chapter 13 of the Bankruptcy Code; however, each must complete a mandatory credit counseling course that is available online, by telephone or on the internet prior to filing the bankruptcy case. As with other chapters of bankruptcy, the debtor must file a complete set of bankruptcy schedules and statements that provide the court, the trustee and his creditors information relevant to his assets, creditors, income, expenses and financial history. However, unlike a Chapter 7 case, the debtor also files a proposed plan of reorganization that sets forth how he intends to reorganize his debts and repay his creditors through his Chapter 13 case. The length of the Chapter 13 plan will depend on the debtor’s income as compared to the state median for a family of the debtor’s size and physical location. If the debtor’s income is below the state median, he must commit to a plan of at least three years; however, the court may grant him the opportunity to spread the payments over a five year period if cause exists. If the debtor’s income is above the median level, he must commit to a five year plan. Debtors must be careful when attempting to pay off their Chapter 13 plan early as changes to the Bankruptcy Code in 2005 state that the debtor must make all 60 payments if his income is above the state median income. This is why an experienced bankruptcy attorney is needed in a Chapter 13 case. He can take advantage of every available legal avenue to help lower the plan payment for the debtor, protect the debtor’s assets and make sure that the debtor does not do anything during the life of the plan that would cause the debtor to experience problems in his case. A Chapter 13 case is also referred to as a wage earners plan because the debtor must have income and have the ability to pay some or all of his creditors over the term of the bankruptcy plan. Any individual who is employed or self-employed is eligible for relief under Chapter 13 of the Bankruptcy Code if his unsecured debts are less than $383,175 and his secured debts are less than $1,149,525. The debtor must complete the required credit counseling course prior to filing the case. A debtor is ineligible to file under Chapter 13 if he had a previous bankruptcy case under any chapter dismissed during the preceding 180 days due to the debtor’s willful failure to appear before the court or comply with orders of the court. If the previous case was voluntarily dismissed by the debtor after creditors sought relief from the bankruptcy court to recover property upon which they hold liens, he cannot file another bankruptcy for at least 180 days from the date of dismissal of the previous case. Filing a Chapter 13 case has several advantages over filing a Chapter 7 case. One of the most significant benefits of a Chapter 13 case is the ability of a debtor to save his home from foreclosure. Filing a Chapter 13 case will stop a foreclosure sale and allow the debtor to cure the mortgage arrearage (the delinquent mortgage payments) through his Chapter 13 plan while resuming normal payments. A Chapter 13 case will also stop a repossession and allow the debtor to repay the creditor the full amount owed or, in some cases, the value of the car, through the Chapter 13 plan. A Chapter 13 will also allow debtors to restructure other secured debts, such as furniture payments, car loans or other secured consumer debts, by stretching out the payments over the term of the Chapter 13 plan to lower the payment and possibly lower the interest rate on the loan. Another significant advantage of a Chapter 13 is the ability to protect assets that would otherwise be vulnerable in a Chapter 7 case. A debtor who owns property that exceeds the bankruptcy exemption amounts can add the non-exemption portion of the assets into his Chapter 13 plan to pay those amounts to the unsecured creditors rather than allowing a trustee to liquidate the assets through a Chapter 7 case to pay the creditors. Finally, Chapter 13 cases afford debtors who exceed the state median income levels the same protections afforded to debtors in a Chapter 7 case by allowing the debtors to discharge any remaining unsecured debt at the end of their bankruptcy case. What happens after I file a Chapter 13 bankruptcy case? As discussed above, the Chapter 13 case begins with the filing of the voluntary petition with the bankruptcy court. Normally, the schedules and statements are filed at the same time as the petition. A plan may or may not be filed; however, it must be filed within 14 days of the filing date of the petition. A Chapter 13 Trustee will be assigned to your case to review the documents filed with the court and review the proposed plan. You must submit copies of your more recently filed tax returns to the trustee for review along with other documentation that he or she may request. Between 21 and 50 days after the filing of your petition, the Chapter 13 Trustee will hold a meeting of creditors to examine you under oath regarding the information contained in your petition, schedules and statements. Creditors have the opportunity to question the debtor; however, in most cases it is only the Trustee that is present to ask questions. The debtor, and the spouse if a joint case, must attend this hearing and answer the Trustee’s questions. At this time, creditors will have 90 days after the meeting of creditors (180 days for governmental units) to file a proof of claim with the court setting for the amount of their claim and providing evidence of the claim. If creditors do not file proofs of claim within this time, they may be barred from receiving any funds under the Chapter 13 plan and their debts will be discharged at the competition of the case. A confirmation hearing will be held to either confirm or deny the debtor’s proposed plan of repayment. The trustee, creditors or other parties in interest may object to the terms of the plan. Typically, most objections are settled prior to the hearing date by your attorney. Once your plan has been confirmed, the Chapter 13 trustee will use the monthly payments you make to his or her office to disburse funds to the creditors in accordance with the plan. Creditors may be treated differently under the plan according to their status as secured, unsecured or priority unsecured. Your attorney will assist you with determining the proper status of a creditor and its treatment under the plan. At the end of your Chapter 13 plan, provided you have paid all payments and completed your required financial management court, you will be granted a discharge for the unsecured debt that was not paid through the plan and your case will be closed. Chapter 13 bankruptcy offers debtors a means of reorganizing debts into a management plan. The Law Office of Gene F. Turnwald is experienced in all chapters of bankruptcy including Chapter 13. Contact our office today to schedule a free bankruptcy consultation to find out if Chapter 13 is the right solution to your financial problems.